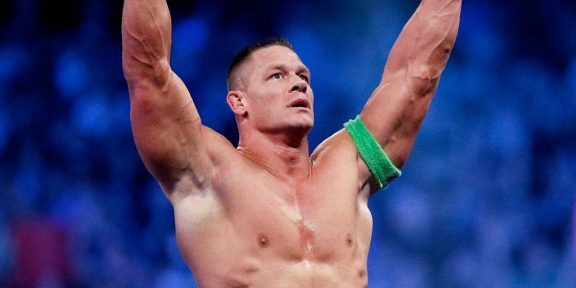 John Cena was missing in action from the live broadcast of Monday Night RAW yesterday thanks to the eye injury he suffered over the weekend wrestling Randy Orton however that didn’t keep Cena completely away. After RAW went off the air and the attack on Daniel Bryan continued, it was John Cena who came down to the rescue, clearing the ring. Both Orton and Kane tried to jump on Cena however the former WWE champ quickly disposed of them by delivering two Attitude Adjustments. Cena was supposed to wrestle Orton in the dark match but that did not happen.